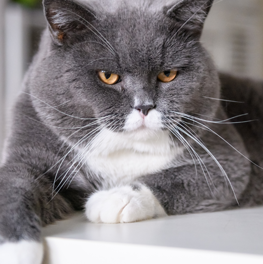 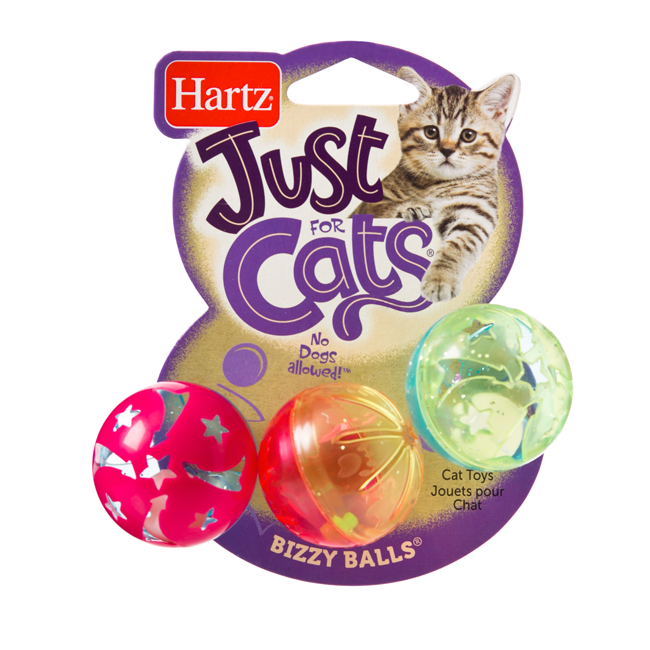 Your cat’s day will become more exciting and exercise filled with the Hartz Bizzy Balls. 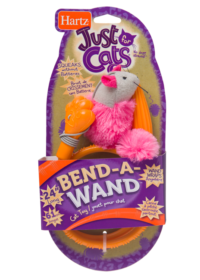 This trio of colorful roly-polies boasts textured surfaces for erratic rolling to entice chase. 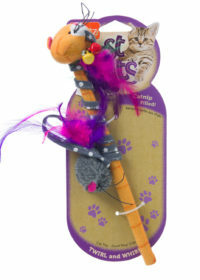 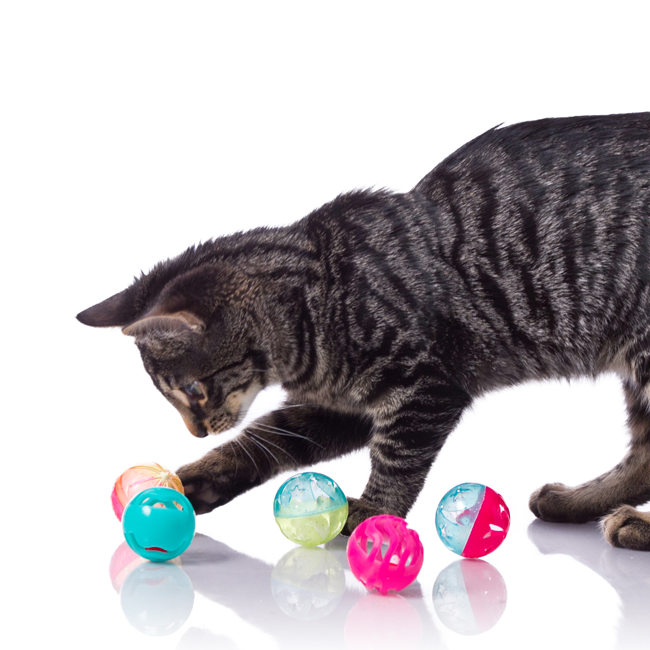 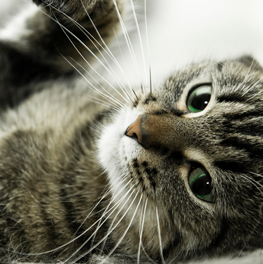 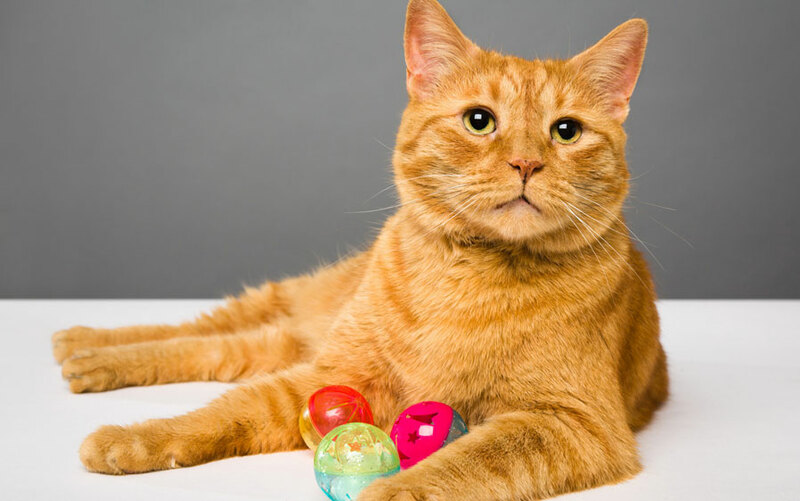 Each ball contains a jingling bell to keep your cat engaged during solo or interactive play. 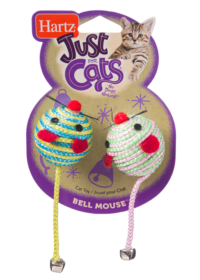 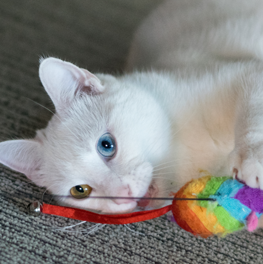 An enriching activity to keep playtime rolling, Bizzy Balls are great for multi-cat households.